In the early 80’s I was in Manila, the Philippines, accompanying an exhibition of Australian Ceramics that was being shown at the Metropolitain Museum of Manila. Heading to a lecture I was to give at the Philippines National University, I hopped into a Jeepney, the main form of public transport at the time, known for their crowded seating and kitsch decorations, these wonderfully adorned vehicles invariably had ornate signs above the drivers head and in this case it stated “Rust Never Sleeps”. I have never forgotten that metaphor and it seems even more appropriate as the starting point for my journey into that “Heart of Darkness” of the ceramics world, the black glazes of Jian Ware which the Japanese Zen Tea Masters came to call Tenmoku (Temmoku). 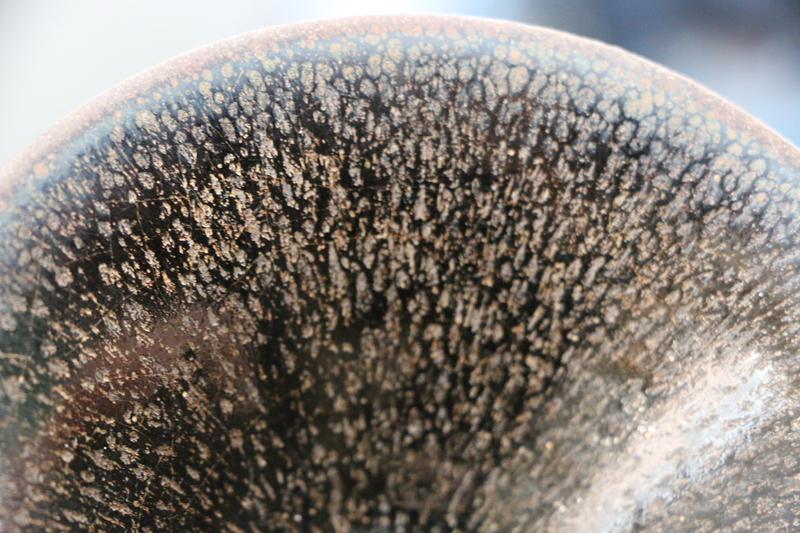 Rust is oxidised Iron and it is that material that gives the colour and character to these black glazes. “…. we suppose it to be a great defect in iron that it is subject to rust. But not at all. On the contrary, the most perfect and useful state of it is that ocherous stain; …… It is not a fault in the iron, but a virtue, to be so fond of getting rusted, for in that condition it fulfils its most important functions in the universe, …. As a child of the 70’s craft revival and training Chinese and Japanese ceramic traditions are deeply ingrained into my aesthetic practice. From the very beginning of my life as a potter I was attracted to High Iron glazes, my college glaze technology research was into Tomato Reds, and throughout the next 40 odd years I continued to play with iron glazes regardless of where my practice took me. Tenmokus were always in the back ground waiting patiently for me to return to them. For last few years my inner city location made the pursuit of, what had been for a major part of my career, the aesthetics of wood firing impractical. So when I wanted a new direction I asked myself the question “What could I continue to make with passion and conviction?” Without hesitation I was drawn back to my earlier work with large Tenmoku glazed and reduction fired platters decorated with images of fish. I felt that it was time for me to delve more deeply into the creative possibilities of the glaze and into it’s history. To give me a focus I made the decision to pursue a PhD at ANU with High Iron Glazes as the subject of my research and practice. I had no idea what and exciting and productive journey was about to begin. Jian ware bowl, Song dynasty, open shape. 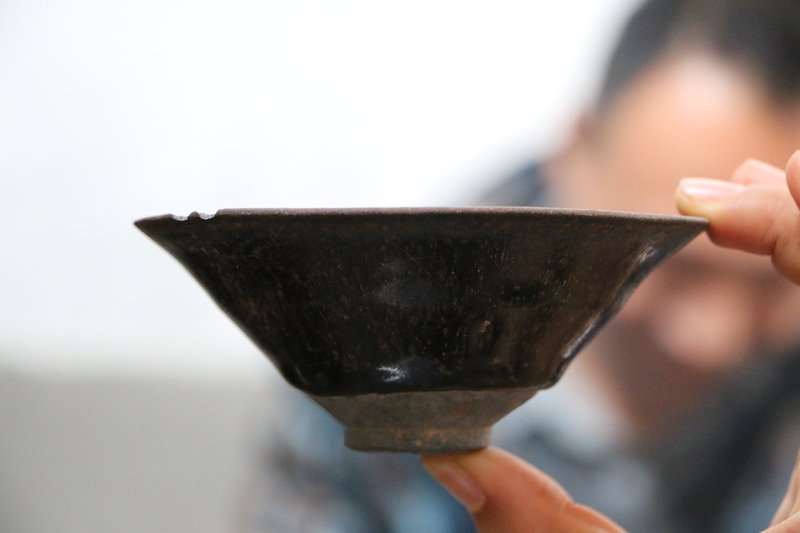 It is important at this point to understand that even though there has been some research into these glazes and the ware that they first appeared on, Jian Ware, but most, if not all, was done from the archeologist and/or collector’s perspective. I discovered that previous research has focused on the finished, if somewhat damaged, product, and I wanted to focus on a Maker’s perspective, to look at the practicalities of the making processes, the clays used, their glaze materials and the types of kilns they used and how they fired them. Along the way I have made many discoveries and have found new questions to answer, but that is the nature of working in an intuitive way, trying to understand what was going on with potters who where making the pots some 1200 years ago.. In my initial literature search I was not surprised to find that there was very little technical information available but fortuitously I came across two books that were to become the foundations for my research. The first was a book ”Tenmoku” by James Marshall Plumer, and the second was an exhibition catalogue titled “Hare’s Fur, Tortoiseshell and Partridge Feathers” edited by James Mowry. The title of Plumer’s book intrigued me the most it spoke directly of the glazes as I knew them. An online searches showed there were only two copies of Plumer’s book in libraries in Australia and one of those was at the University of Sydney. Discovering that fact, I immediately called the University organising for the copy they held to be brought out of storage (it appears it had never been borrowed or rear previously.) With nervous anticipation, as I could only guess at it’s contents, I rode my bicycle to the Fisher Library at Sydney University. When I opened “Tenmoku” I felt an immediate rush of excitement, there in front of me was the intriguing tale of the 1935 journey by an American adventurer, later professor of Asian Art, James Marshal Plumer. Plumer travelled into the wilds of China to discover the source of Jian Ware. Plumer had graduated from Harvard University in 1920 with a fine arts degree, had then spent two years working as a deck hand on cargo ships sailing around the world. From 1922 until the Japanese invaded in 1937, Plumer worked for the Chinese Customs Service as a Customs Officer. During those early years, with his background in fine arts, Plumer took a great interest in Chinese Art, in particular the black glazed tea bowls that he would often purchase in the marketplaces in Fouchou when he was stationed there. It was in those years that Plumer had made the decision that he to try and find out where these pots were made. Up until his journey there was little knowledge and much conjecture in Western Asian Art literature about this, the ware having gained it’s name from the town where it was marketed not where it was made. Due to the turmoil in the Chinese countryside with bandits and Communist war parties roaming the countryside, Plumer had to delay his journey until 1935. In those days the journey was a particularly arduous journey to Shuiji, involving cars, wagons, river boats, ferries, rafts across rivers and continual hold-ups due to river flooding, waiting until bandits were cleared from the roads ahead and dealing with minor officials along the way when the bureaucracy and law were falling apart. What an adventure! I spent an hour in rapturous reading, getting more and more excited and at that very moment made the decision that I had to trace his steps and discover for myself what it was that gave Jian Ware its uniqueness? I scanned the book and I left elated, my El Dorado on a USB stick. Later I was fortunate to find a second hand copy of “Tenmoku” in Switzerland and had it mailed to me. 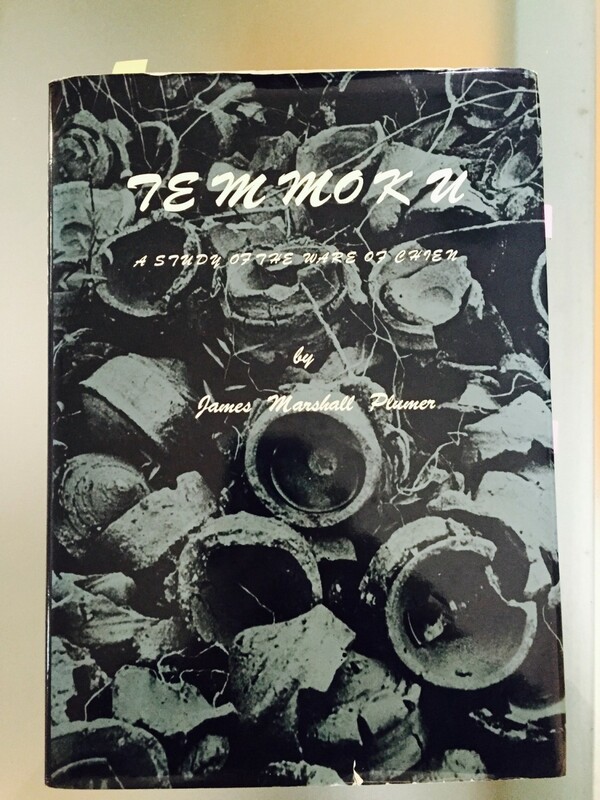 This book and its author’s journey has become a major focus for me, James Marshal Plumer; the person who discovered the site where Tenmoku was born and whose 1935 collection of pots and shards was later to be essential to my understanding of Jian Ware. After reading his book I began to plan my trip to China to the site of his initial 1935 excavation, to explore it for myself. Part of my thesis is that as a potter, I bring a maker’s eye to this research, a new vision that could add to the knowledge of Jian Ware, by finding the materials the Jian potters used to make it; their clay, glaze and kilns. New ground, the gap, a fertile field for research. This is the uniqueness of my quest to uncover the many mysteries of the origins of this ware and to explore the variety of effects achieved in the kilns of Jian over a 250 year period, many of which are still a mystery 1000 odd years later. 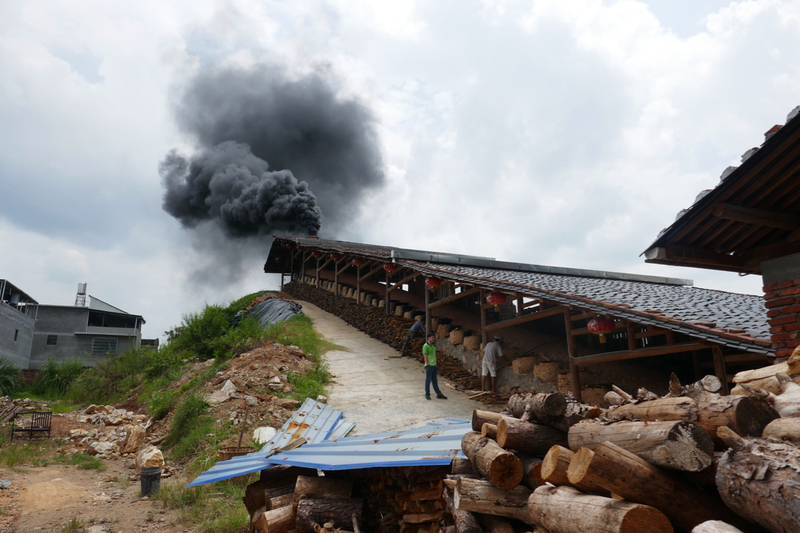 In November 2014 I travelled to China and followed some of Plumer’s journey; his was an arduous 2 weeks, interrupted by bandits, flooded waterways and obstinate officials; mine was a less arduous 10 hour trip by train. 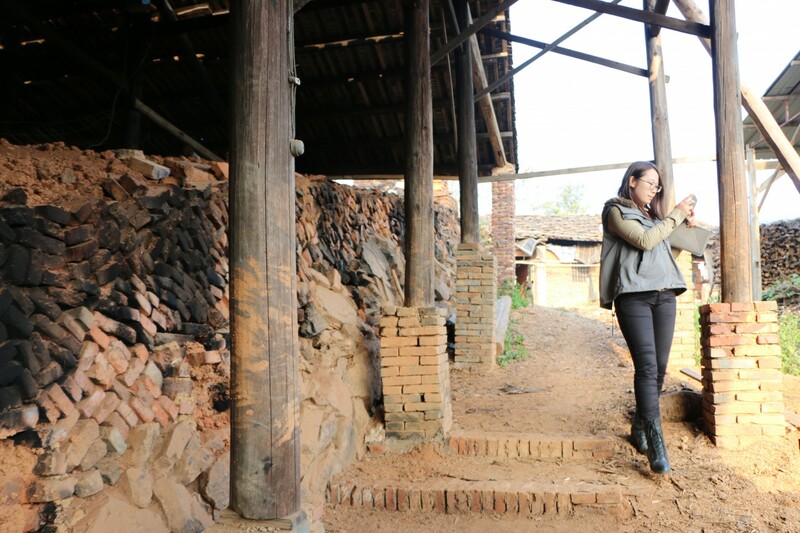 I was able to do excavations for shards, collect mineral samples for analysis, visit local collectors and see current pottery workshops and kilns. A wonderfully successful trip but the more I discovered the more questions were raised. 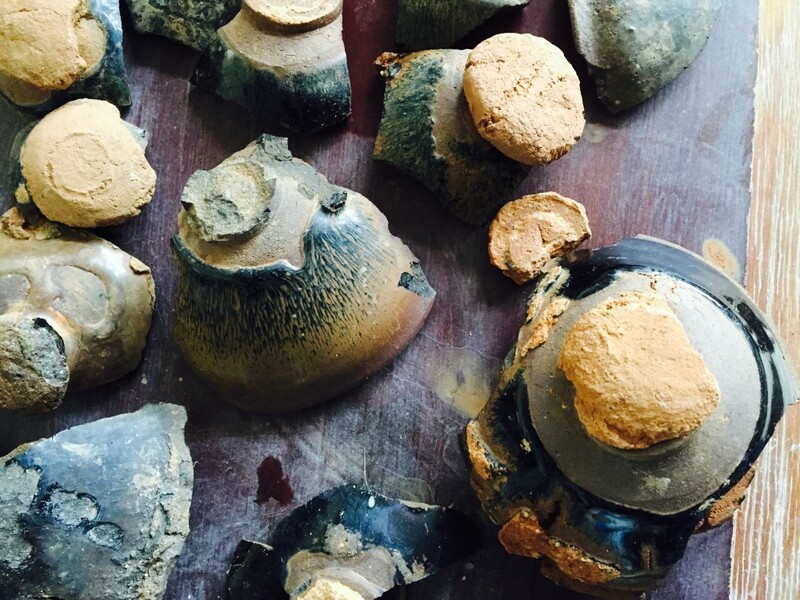 With this in mind i knew that a trip to look at whole pots was important, but I also knew that I would need to return Shuiji and the valley of Cizhong where the kilns sites were located. “Hare’s Fur, Tortoiseshell, and Partridge Feathers” by Mowry’s formed the second part of my quest for knowledge and understanding as the exhibition’s curator, Robert T Mowry had collected together a full range of the black ware made in China from 200BC to 1650AD. The pots were sourced from public and private collections all over America and there were a substantial number of those that were described as Jian Ware. The catalogue had photos, descriptions and the provenance of a large number of the Jian Ware tea bowls that I was interested in examining and credited the museums and collectors who had lent their work for this major survey exhibition of High Iron (Black) Glazed pots. “Hare’s Fur, Tortoiseshell and Partridge Feathers” gave me the information I needed to trace the whereabouts of much of the Jian Ware that had entered US collections over the last 130 years. I used it to plan my field trip to the US in March 2015, where I was able to examine, photograph and handle many Jian Pots and shards with some certainty of their provenance. Now that I was back in Australia, I began to prepare for a trip to the US to explore some of the questions raised in China. Using the Mowry’s book as a guide I contacted the University of Michigan Museum of Art, Harvard Museum of Art, The Boston Museum of Fine Art, the Metropolitain Museum of Art in NYC and the Museum of Asian Art in San Francisco. This was a complex set of negotiations and communications stretching my organisational skills.With this list of museum visits organised and ANU funding approved I booked my trip. Just before I left I received an email from the curators at the University of Michigan Museum of Art (UMMOA) suggesting I contact their Archeology Department, as they thought Plumer’s shard collection may have been there. This was one of those magic leads that cropped up again and again during my trip and, confirming that this was indeed the case, I immediately rearranged my schedule to fit in a day in that Museum. I spent the most wonderful time at there looking at several hundred shards and pots Plumer had collected in 1935, and comparing these with the ones I had collected in 2014. I was also fortunate to be allowed to handle and photograph another 100 fine Jian tea bowls at UMMOA, Harvard’s Sackler Museum, the Boston Museum of Fine Art, The Smithsonian, and the Metropolitain Museum of Art, as well as work being readied for Sotherby’s annual Asian Week sale in NYC. Although this was a fabulous experience it was almost overshadowed by my exploration of Plumer’s archives. Earlier I had been searching the online archives at the University of Michigan’s Bentley History Museum hoping I would find some of Plumer’s papers and through the wonders of internet searches discovered that they had two such boxes, so I again made arrangements to get access and spend a day in those archives. Arriving at the Bentley I was presented with those two boxes. You can guess how excited I felt when I opened them. They were a treasure trove of writings, photos and much, much, more. When I opened the first box, at the front were 10 bound volumes, from 1920 to 1929, of Plumer’s letters to his mother in the US. As a cultural history of expatriate life in Eastern China in the 1920s they are priceless. The little I read of them suggested they alone were worthy of a History PhD, or maybe, a book for me at a later time. Behind these were album after album of photos of social events, people and travel in and around China in the 1920s. Fascinating, a return visit beckons. It was when I opened the second box that my pulse began to race, the first bundle I pulled out was the original manuscript for Plumer’s book with all his photos, drawings and maps. The manuscript was annotated with many handwritten notes and corrections for the publisher. I felt like I was in his company. I dug a little deeper and hidden between two photo albums was a small Chinese School exercise book and as I opened it I shuddered with the realisation that I had in my hand the original notes Plumer wrote as he travelled down to Shuiji from Shanghai in June of 1935. I skimmed through them barely able to hold the pages still until I came to the top of the page for June 27th were Plumer had inscribed the words El Dorado! Mowry, R. D., E. Farrell, N. C. Rousmaniere, Arthur M. Sackler Museum., China Institute Gallery. and Elvehjem Museum of Art. (1996). Hare’s fur, tortoiseshell, and partridge feathers : Chinese brown- and black-glazed ceramics, 400-1400. Cambridge, Mass., Harvard University Art Museums. Plumer, J. M. (1972). Temmoku; a study of the ware of Chien. Tokyo,, Idemitsu Art Gallery. Are you actually making oil spots or just research? Both,I have no difficulty with the Northern Song style, but the Jian Ware oil spots are exceedingly rare and difficult, Hare’s Fur is common but again difficult to reproduce. I am trying to translate the glazes using local minerals. I will continue to publish, I have a backlog and, like you I’m sure, a busy life. Off to rewire a test kiln, nice to hear from you. Next PostNext Jian Ware – A short video.